Well, well, well. What is up?! With the second rendition of "Sunday Service" hitting the web, this piece outlines an array of gravel options in San Luis Obispo County, which were completed from December 1-3, 2017. Throughout the past few months, this weekend proved to be unforgettable, with memories consistently seeping back into view. As insane memories were bagged and quality loops tagged, do not relinquish an opportunity to pedal Central Coast gravel. 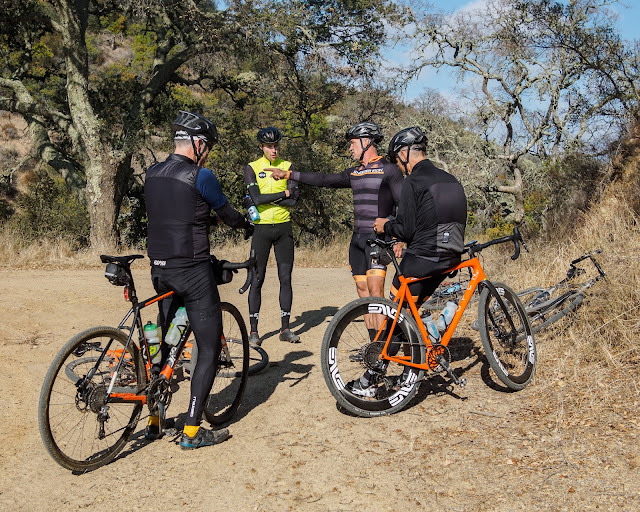 Beginning on Friday, December 1, five wanderers began a journey to explore the most exquisite gravel in San Luis Obispo County on back-to-back-to-back days. 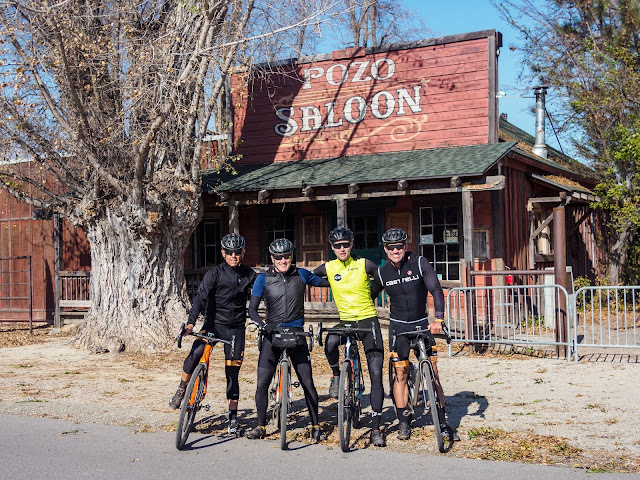 With Lee Bird, John Saliamonas, and Frank Schroeder making the trip from Southern California, Sean Bird and Adam Evard served as San Luis Obispo tour guides. Lee Bird, along West Cuesta Ridge, above San Luis Obispo. In the distance, ocean views of Morro Bay are prime. Photo: Adam Evard. Above Cal Poly, San Luis Obispo's college campus, a stark ridgeline meanders north, heading toward Morro Bay, along the Central Coast. Outlined in "Ride the Ridge," West Cuesta Ridge has proven to be a prime location for mid-day loops. From West Cuesta Ridge, which is accessible from Cal Poly's campus, miles of buffed out fireroad began a four-hour loop. While rolling out West Cuesta Ridge, the landscape changes multiple times, providing an alpine feel. Eventually, as the fireroad nears its end, it is possible to drop down to Cerro Alto Campground, which is just inland from Morro Bay. A five-mile singletrack descent provides access to Cerro Alto. While a rush on cyclocross and gravel bicycles, it's certainly worth a go. Descending into Morro Bay is no easy task. Here, Adam Evard captured Lee Bird in action. After entering Morro Bay, when there is dirt, and you're on a cyclocross bicycle, the only option is to avoid pavement at all costs. 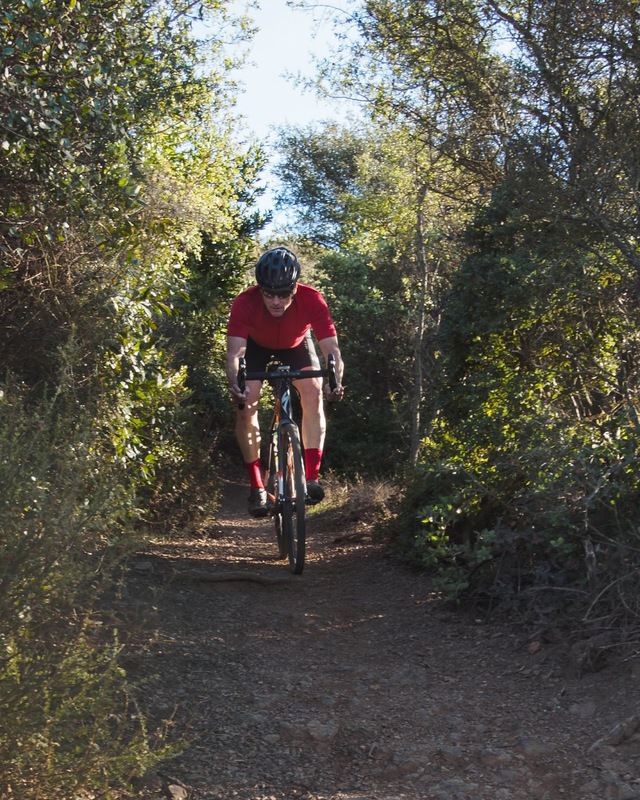 Morro Bay offers a neat collection of singletrack trails, which pop out on Turri Road in Los Osos. Once on Turri Road, it was all asphalt back to San Luis Obispo to close out day one of gravel camp. All aboard! 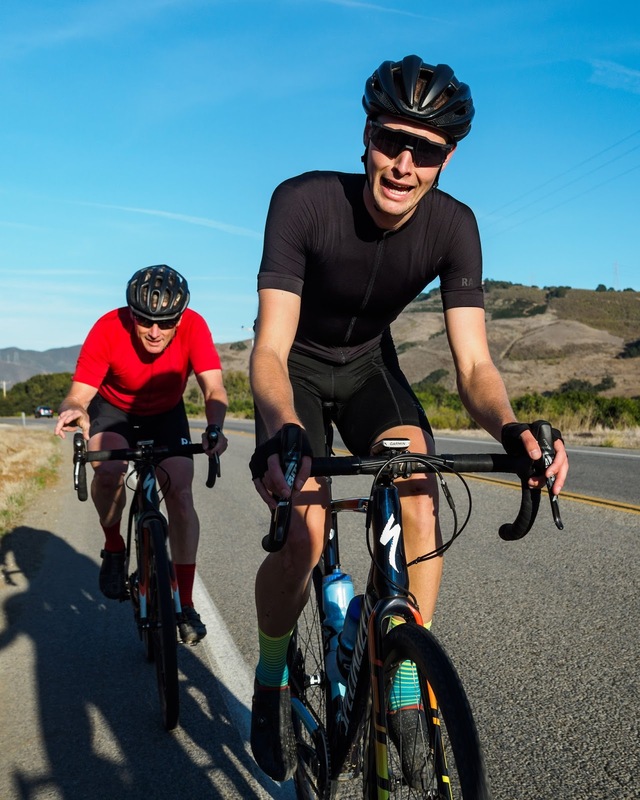 Lee Bird (left) and Sean Bird (right) ride into Morro Bay. Photo: Adam Evard. To begin day two of gravel camp, on Saturday, December 2, Jacob Gerhardt, a San Luis Obispo local who was raised in North County San Luis Obispo, as well as Stephan Hoffman, two rippers from Team CLIF Bar, joined the train. Additionally, Mark Yaroshevsky, a first-year at Cal Poly, was not backing down from the challenge. While exploring prime gravel in North County, Jacob served as an ideal tour guide, leading the way and calling audibles, all while providing an understanding of the landscape. More than anything, day two, at 105 miles and 7,500 vertical feet, certainly left a serious dent; however, Kiler Canyon Road, Peachy Canyon Road, Klau Mine Road, and Cypress Mountain are insane offerings along the Central Coast. 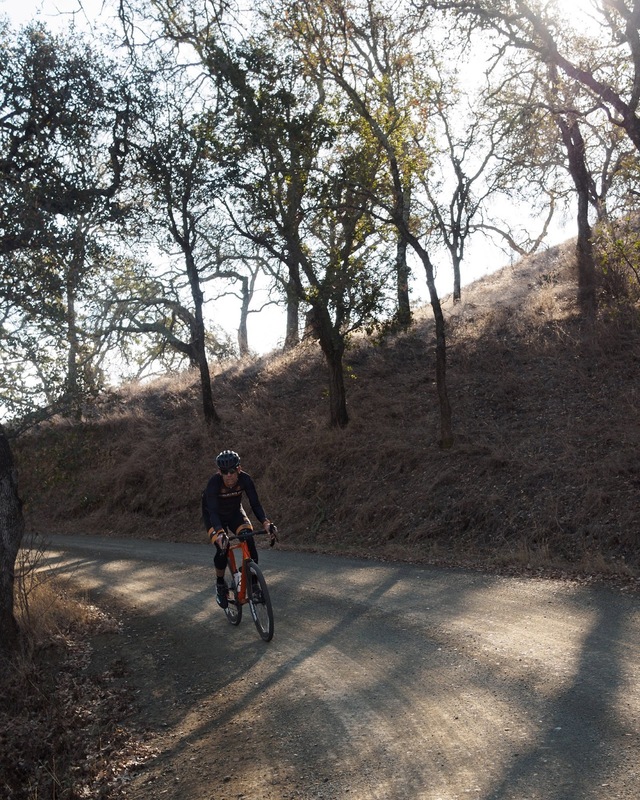 Outside of Paso Robles, these fireroads allow for remoteness and a sense of peace to be acquired within miles. After climbing Cypress Mountain, ocean views that look down on Cayucos and Cambria are absolutely stellar, breathtaking, and world class. Not to be taken for granted, day two of gravel camp, although a biggie, was top notch. With day three to complete, prior to wrapping up and heading home, the original crew of five headed south, aiming for Pozo. In brisk, windy conditions, tackling Hi Mountain Road, a steep, rutted, remote fireroad past Lopez Lake Recreation Area was no easy task. However, after coming out the other side, a lengthy jaunt back, all in paceline formation, was in order. From Pozo, to Santa Margarita, and back into San Luis Obispo, all that was left was a Lincoln Market and Deli lunch, before three amigos from Southern California departed and the SLOcals reclaimed their landscape. On day three, the crew headed south, taking on Hi Mountain Road in brisk conditions. Photo: Adam Evard. Frank Schroeder rode in his zone on Hi Mountain Road. Photo: Adam Evard. Throughout the past four years, riding in San Luis Obispo and San Luis Obispo County has been a treat. While I am certainly biased, the locals, as well as the local landscape are unreal. Certainly, this location, along the Central Coast of California, is world-class cycling. 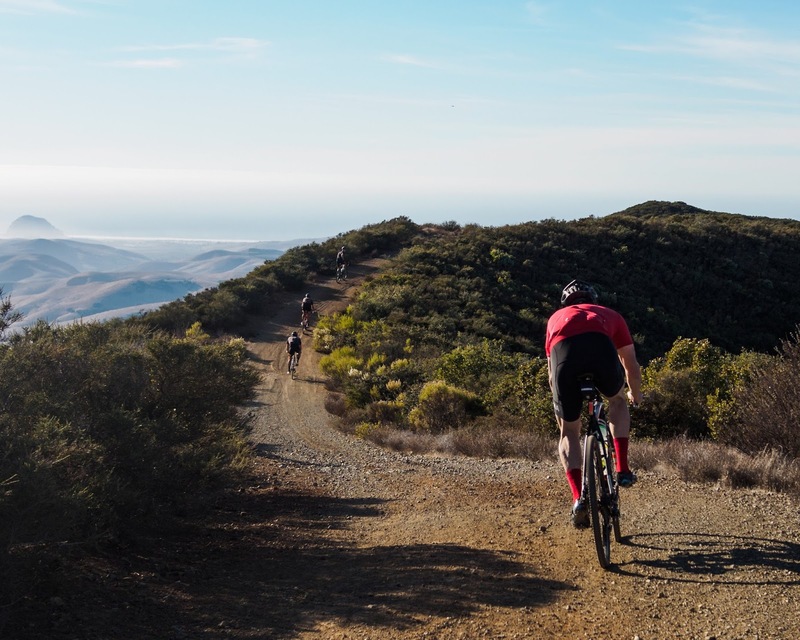 With gravel, mountain, and road options, San Luis Obispo is a destination. We'll see you soon. Frank, Lee, Sean, and John completed all three days of gravel camp. Photo: Adam Evard.